The Mark III was a car made up of parts and ideas taken from somewhere else. The engine, chassis and front cowl came from the Ford Thunderbird, the massive upright grille was "inspired" by Rolls Royce, the Continental "hump" on the trunk lid was from the 1956-57 Mark II and the long nose/short deck styling was derived from a '61 Plymouth. The name was stolen from the 1958 Continental Mark III, which Ford Motor Company had conveniently forgotten. When you read the previous paragraph you realize what a cobbled-up car this is. But when it was all put together, it worked. It should. It was the brainchild of Lee Iacocca, the same guy who took a bunch of Ford Falcon parts, assembled them, put a pseudo-Ferrari grille on the front, added fake airscoops on each side and created the Mustang, one of the hottest selling cars of all time. The 1969 Lincoln Continental Mark III was introduced in April of 1968. 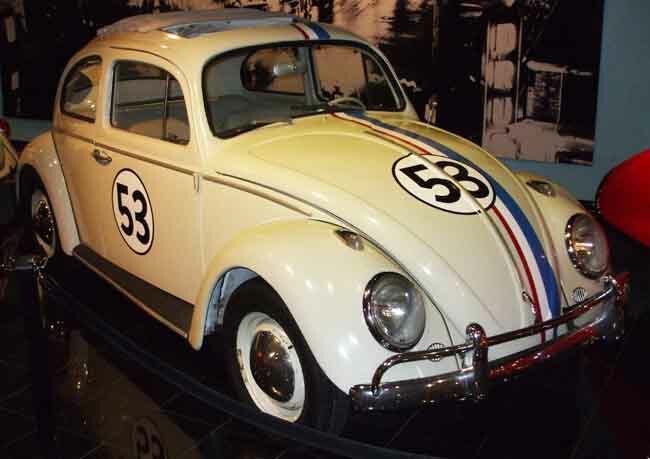 It was 216 inches long, had a 117-inch wheelbase and was powered by a 460 cubic inch V-8 engine with 365 horsepower. Although it weighed 4,800 pounds, it could go from a standing start to 60 miles per hour in 8.3 seconds. It was luxurious and cost $6,585. The motoring press hated it. They whined about poor space utilization and laughed at the styling. Design critics called it "a Thunderbird designed by seven guys named Vinnie." It didn't make any difference. The public loved it and the car sold like hotcakes. Those same design critics wouldn't buy a Mark III anyway. They buy more esoteric cars ... like Citroëns. You'll often see these people by the side of the road with the hood up on their Citroën DS-19s, jumping around and cursing while frantically trying to put out an engine fire with an elegant, tastefully-patterned blanket. The Mark III was a big success. In 1969, a year after introduction, there were still waiting lists for Lincoln Continental Mark III. Over a three-plus year period, over 81,000 examples were sold. In 1969, Neil Armstrong became the first man to set foot on the Moon on July 20th. Richard M. Nixon was inaugurated in January and was the first president in 124 years without a working majority in Congress. The Vietnam war continued almost unabated. Earl Warren retired from the U.S. Supreme Court and was replaced by Warren Burger. The Woodstock Festival was held in August. The Kennedy Chappaquiddick incident occurred in July near Martha's Vineyard, when Teddy K. drove his '67 Olds Belmont 88 off the Dike Bridge following a party. An young aide, Mary Jo Kopechne, drowned. New products included Penthouse magazine, Campbell's Chunky Soups, childproof prescription bottles, plastic roast-in-bags for meats and poultry, and the first automatic teller. Coffee grower Juan Valdez debuted in coffee ads. The first Wendy's appeared in Columbus, Ohio. Cyclamates were discontinued for use as artificial sweeteners, following cancer concerns. The Boy Scouts permitted girls to participate in its Explorer program. New words/phrases included golden handshake, headhunter (corporate recruiter), knockoff (of a design or product), noise pollution, status symbol and telethon. The Chevrolet Corvair was discontinued but, in California, the dune buggy business was booming with over 40 manufacturers. Ferrari became part of the Fiat Group (Enzo Ferrari sold 50% of Ferrari's share capital to Fiat), while Volkswagen took control of Audi. Ford brought forth the Mustang Boss 302 and the Mustang Boss 429 in 1969. That same year, the Pontiac Trans Am debuted. 1969 bestselling books: Mario Puzo's 'The Godfather' and Thomas Harris' 'I'm OK - You're OK'. New TV shows included 'Let's Make A Deal', 'The Brady Bunch', 'The Courtship Of Eddie's Father', 'Sesame Street', 'Marcus Welby MD' and The Merv Griffin Show. The comedy sketch group Monty Python first appeared. 1969 total broadcast revenues exceeded $554 million dollars. Some of the hot movies for ’69 were: 'The Love Bug', 'Butch Cassidy & The Sundance Kid', 'Easy Rider', 'Midnight Cowboy' 'True Grit', 'On Her Majesty's Secret Service' and 'Sweet Charity'. There were numerous memorable top songs during the year: 'Aquarius' by the 5th Dimension, 'In The Year 2525' by Zager & Evans, Johny Cash's 'A Boy Named Sue', The Beatles' 'Get Back, 'Credence Clearwater Revival's 'Bad Moon Rising' and Elvis Presley's 'Suspicious Minds'. Some new recording artists made their debut in 1969: Linda Ronstadt, The Jackson 5 as well as Crosby, Stills & Nash. Deaths included patriarch Joseph P. Kennedy, writer Jack Keroac, boxer Rocky Marciano, actor Boris Karloff, skater Sonja Henie, former president Dwight Eisenhower, car stylist Harley Earl, Senator Everett Dirksen, entertainer Judy Garland, Joseph P. Kennedy, Marxist-Leninist revolutionary Ho Chi Minh, writer Jack Kerouak, columnist Drew Pearson, ice-skater Sonja Heine and cowboy sidekick Gabby Hayes. The NY Mets defeated the Baltimore Orioles in the World Series, 4-1.